Buying a Home Is One Of The Best Investments You Can Make! It Is Very Important To Buy A Home That Will, Most Likely, Go Up In Value. Slow, steady home appreciation has been the rule over most of the nation’s history, and many real estate investors became quite wealthy in that environment. They did so by very carefully analyzing the appreciation potential of their investment, and they invested for the long term. You should too. Even if you plan on living in your home just a few years, you will want it to have gone up in value when you put it back on the market. Choose Your Agent Wisely. 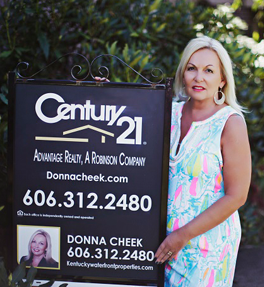 When deciding on a real estate agent look for one with experience in working with buyers, with knowledge of the neighborhood(s) you are considering, and who does not have a reputation for being ‘pushy’. An initial consultation will allow you to get to know the agent to see if there is a rapport with the agent then you can decide if working together is mutually beneficial. Current Home Prices Are A Less Important Consideration Than Interest Rates, try to buy and/or sell when interest rates are low. The amount of mortgage you can afford (and thus the price of the home you will consider) will change as the interest rates increase or decrease. A certain asking price may sound expensive to you, but at a lower interest rate you might be able to afford it. You may own several homes over your lifetime, and the factors that will limit or increase the value of the home you will be selling will similarly affect the price of its replacement. Since those factors largely wash each other out, interest rates remain the most important factor. Always Have A Home Inspection Contingency in your offer and always hire a professional home inspector to provide you a written report along with “ball park” estimates or ranges of repair costs. If the inspection turns up problems that weren’t readily noticeable, you can use it to get out of the deal if done within the timeline written in your offer. Research Your Mortgage Options Well Before You Make An Offer. You must have a contingent letter of approval for a loan, or an actual loan commitment prior to making an offer. STUDY! Working with an experienced Realtor will lead you to getting the best possible deal. Read as much as you can on home buying, negotiating, and neighborhoods in your area that might fit your needs, and factors that impact long-term appreciation like schools, infrastructure, major new business expansions or closings. If Your ready let’s get started!